Chicago indie pop quintet Gold Motel are about to release their second LP on July 3rd (you can download one of the tracks, "Musicians," right now courtesy of rcrdlbl.com), but in the meantime one of the band's members has something else to share. During the downtime after finishing that record, guitarist/songwriter Eric Hehr began a side project called Blonde Ventura, which consists of him and vocalist Rachel Pointec. 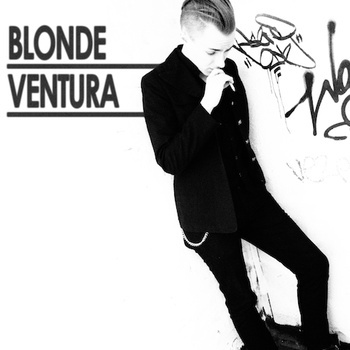 "Love Rearranged," the first Blonde Ventura track to see the light of day, is now available as a name-your-price download via Bandcamp. Like Gold Motel material, it's immediately catchy, has smooth, sugary female vocals and bittersweet lyrics, but stands out by incorporating a synthy, dancey groove into the equation. You can hear and download the track below, and be on the lookout for more as Hehr has plans to write and release additional material as Blonde Ventura.